It looks like Fitbit is about to reveal two new fitness trackers, the Fitbit Charge and the Fitbit Charge HR. Both devices have shown up in what appears to be official documentation, courtesy of Gizmodo, and are much more comprehensive than the Flex. If these docs are to go by, the Charge HR will incorporate heart rate monitoring (a first for Fitbit), step, distance and sleep tracking, and calories burned. Going someway to bridge the gap between fitness tracker and smartwatch, it also has a caller ID function to screen your phonecalls while you're on the move. As the name might suggest, the standard Charge packs everything sans heart rate monitor, so expect that one to come in a bit cheaper. 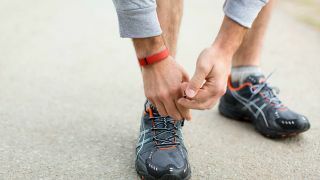 Fitbit was made to recall the Fitbit Force earlier this year following complaints of skin irrritation, so the Charge would be a positive return for the company if this leak is legitimate. We contacted Fitbit but it refused to comment on the matter. Guess we'll just have to wait and see.